Not many people know but one can easily make free calls from PC to Indian Mobile numbers. 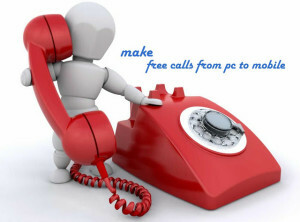 A website called www.Site2Sms.com is providing the facility to make free calls from PC to Indian Mobile numbers. I used this website and it was a overwhelming experience. It also allows you to send text messages up to 260 words. There is also a facility of call recording on this website. It gives 64 min free call duration every day. Each call can extent to a maximum of 2 minutes. However, there are some limitations also on this website but you must give it a try. It is one of the best website to make free calls from PC to Indian Mobile numbers. If you are visiting this website for the first time then you need to register yourself. When you register yourself, you are given a username and password to login on this website. It may ask for captcha code for each login. When you make free calls from PC to Indian mobile number through Site2Sms, it pings the number from their server. When the person picks your call, a ring is said to your mobile number. You pick the call and the conversation starts. But there are some limitations on this website. DOWNLOAD AND INSTALL WHATSAPP FOR WINDOWS XP/VISTA/7/8. It is unable to make calls activated with DND (Do Not Disturb) Service. The no. flashed at the receiver end is a telemarketing number. So, it might be possible that the receiver may cut your call. The call starts with the recorded promotion message of Site2Sms. It takes long time to make free calls when the server is too busy. The foremost advantage is it allows you to make free calls from PC to Indian Mobile numbers. It allows you to send text sms up to 260 words. It has the facility of Call recording. You could also send Voice sms via Site2Sms. No pop up ads are there on Site2Sms. The interface is cool with multiple options. AWESOME TRICK:WRITE IN YOUR HANDWRITING IN MOBILE BROWSER. If you are a new user then sign up or else log in with your username and password. Visit Voice Call webpage through this link. Click on “Dial number”. A new webpage will open. 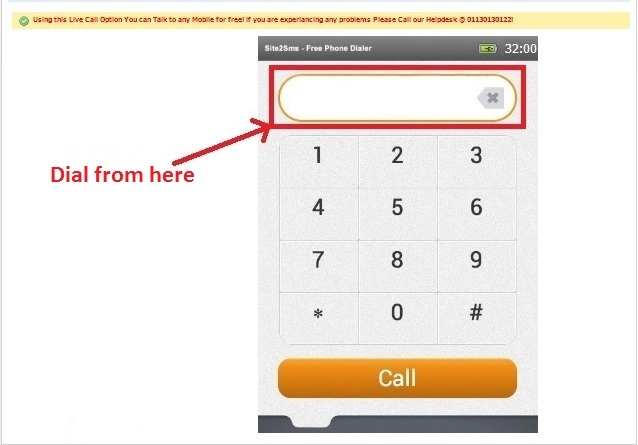 Dial mobile number and click on “Call”. Then click on “Yes Connect My Call”. NOTE: Do make sure the number is not activated with DND (Do not Disturb) Service. The confirmation message will be displayed as shown in the below image. Site2sms will connect your call and then give a ring to your mobile number. You are done, If your friend picks up the call from the other end then you have successfully made a free call from PC to Indian Mobile number.